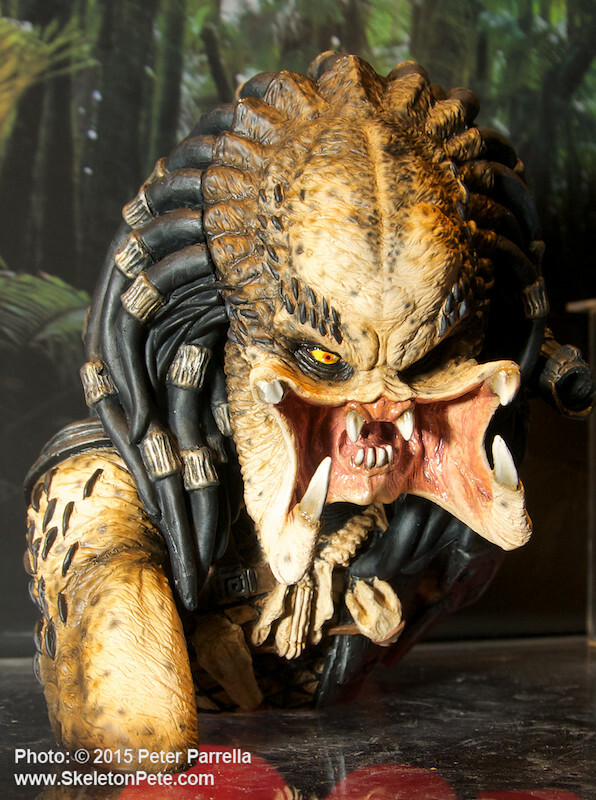 The Unmasked Predator Vinyl Bust Bank, shown here from its debut at New York Toy Fair 2015, was one of my favorite Diamond Select Toys reveals back in February. It’s the most detailed of bust banks so far, trumping even the cranial convolutions of DST’s Metaluna Mutant. 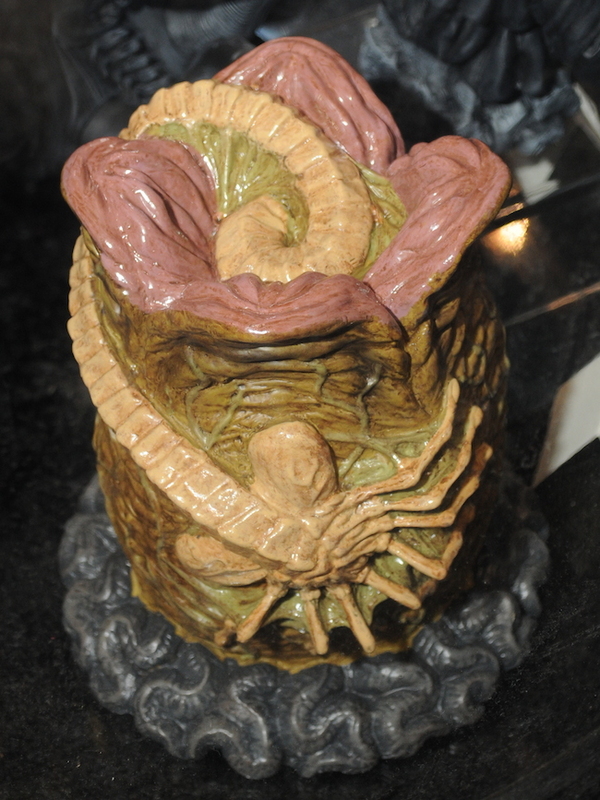 Eli Livingston also sculpted these DST Alien Egg with Facehugger and Cthulu Bust Banks. 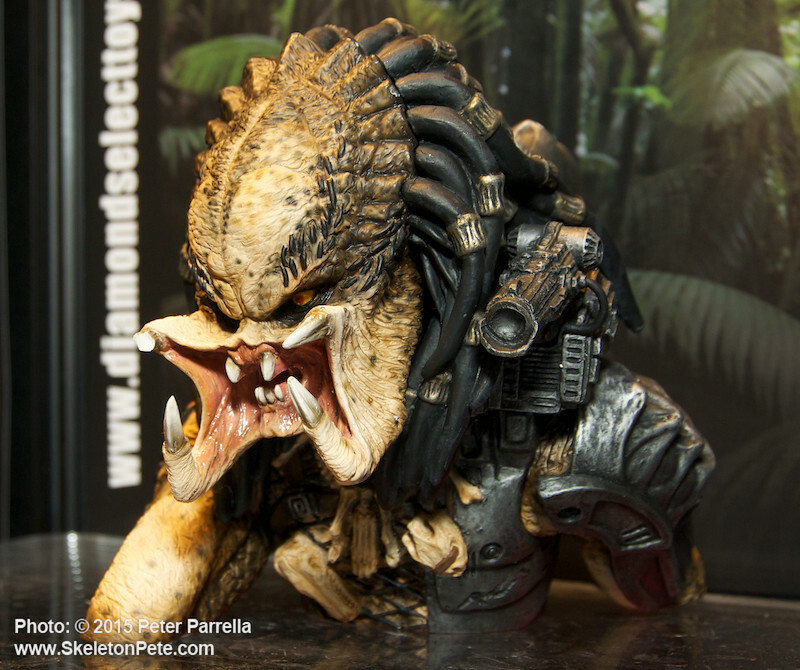 As you can see, the predator sculpt by Eli Livingston is amazingly accurate (note shoulder blaster) and beautifully scary. Livingston has modeled several of the earlier bust bank series, including The Wolfman. 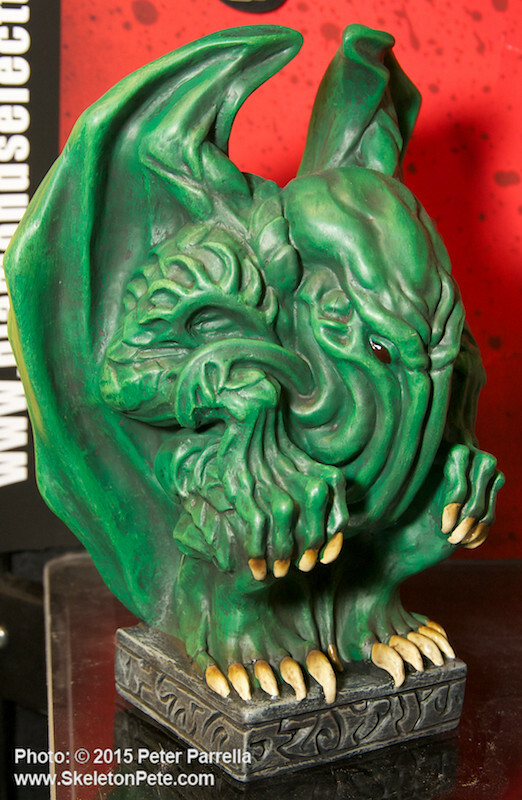 Most recently he’s designed the Alien egg with face hugger and Lovecraft Cthulu banks recently released by Diamond Select. 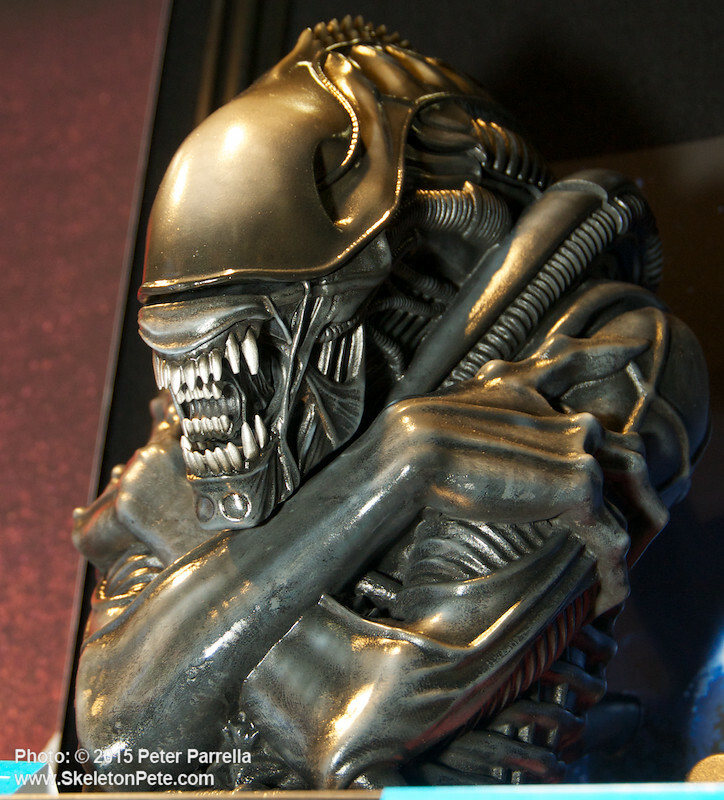 It’ll probably be no surprise to learn that the sculptor also worked with original Alien xenomorph creator the late H. R. Giger on several jewelry pieces based around Giger’s art. The Bomben Skull Ring is one of my faves which began as the volume and tone knobs for Ibanez Guitars’ H. R. Giger signature model. 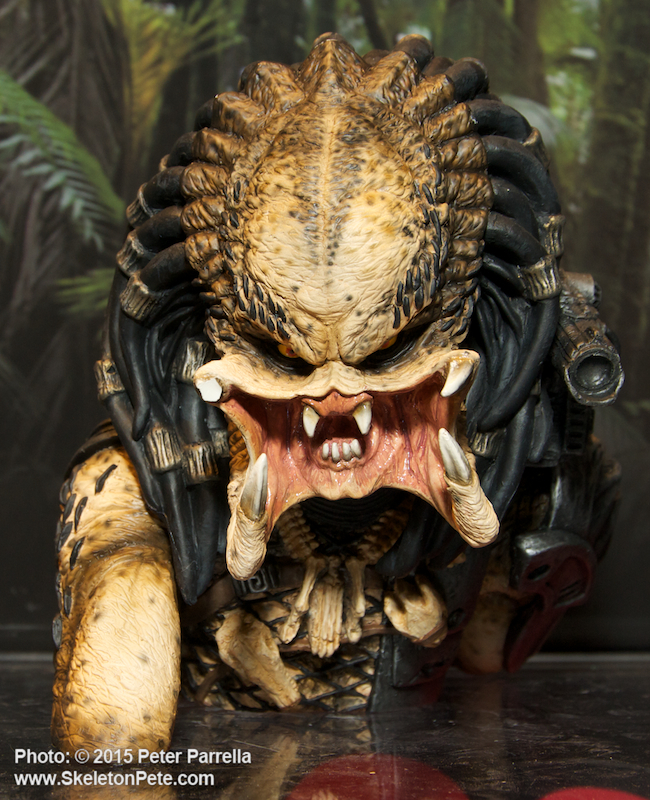 At 8” high and under $23 the Predator Bust Bank is both shelf and wallet friendly. If you like big ugly things (aside from your bowling buddies) hanging around the “man-cave” and eating your spare change, this one’s for you. Now that summer is here, tracking prey can be exhausting and sweaty work. Whether you’re Count Zaroff playing a most dangerous game in fog hollow or a yautja hunter chasing Betty and Veronica around Riverdale, you could most likely use a cool brew. Unfortunately twist-offs aren’t de rigueur in all parts of the universe. No need to worry. 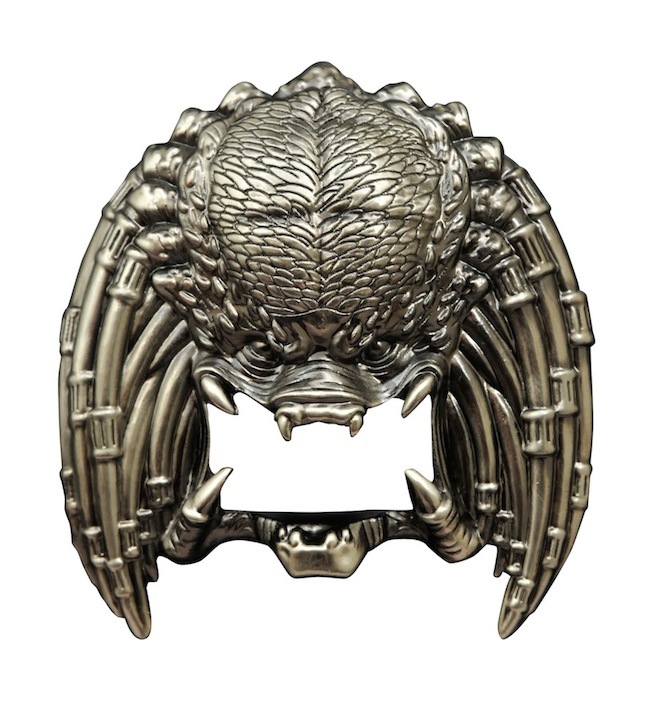 The just released Unmasked Predator Bottle Opener is an impressive bit of kit from Diamond Select Toys will ensure you have the right weapon to get a quaff quickly. Though hitting the shelves this week, a wee bit late for Father’s Day, it would make a great conversation piece for collector dads at family picnics. Those who do not imbibe, or prefer cans and corks, can still enjoy its value as a beyond – the – ordinary refrigerator magnet, and a nice companion piece to DST’s Alien Xenomorph “church key” styled bottle opener. 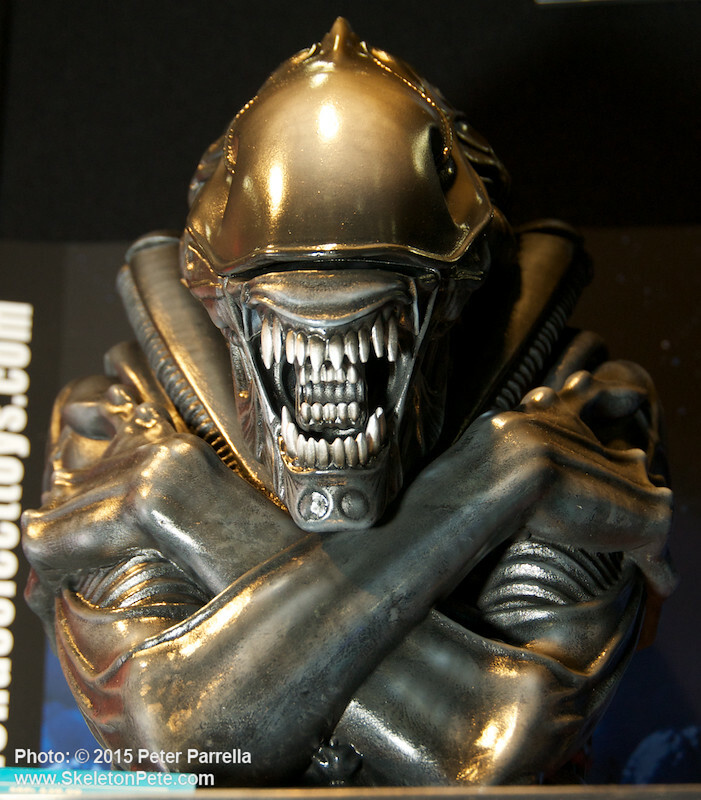 If utility is the order of the day for your continued collecting, then DST’s growing list of themed banks, pizza cutters, bottle openers, ice trays (and check out that Alien xenomorph Cookie Jar!) may be all you need to convince your spouse why this next purchase is must have for your household.